Large rainfall events such as tropical storms and hurricanes leave Florida's St. Johns River susceptible to flooding. 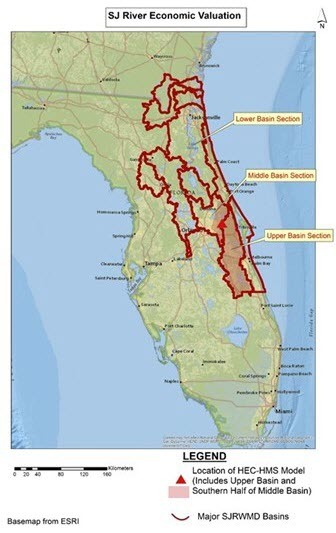 In search of a solution, Christopher Brown from the University of North Florida and Amanda E. Tancreto from the U.S. Army Corps of Engineers simulated the Upper St. Johns River for extreme events. If this brand new research intrigues you, keep learning about it in the JWMM today.